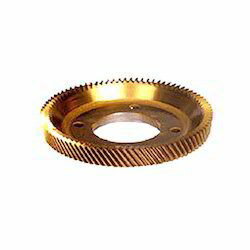 Our organization is engaged in offering superior quality range of Gear Shaper Cutters to the customers. The range of Gear Shaper Cutters is manufactured using high-grade raw material, which is procured from the trusted sources of the market. 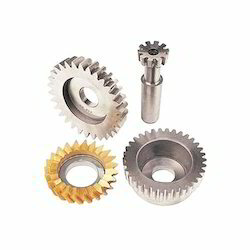 We provide shank & disk cutters for internal & external spur gears, serrations, form cut keys, spline, hex, square and specials. Our range is known for its maximum rigidity as well as minimum deflection, ensuring integrity of the spline feature and tool life. Gear cutters, disc type gear shaper cutters, internal gear shaper cutters, shank type gear shaper cutters, hub type gear shaper cutters. 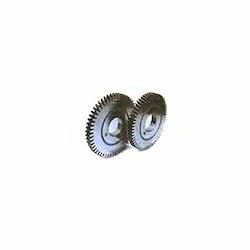 The range of Disc Type Gear Shaper Cutters is offered to the customers at industry leading prices. 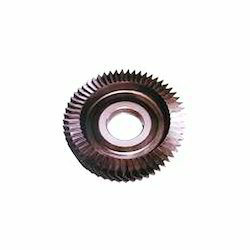 These cutters are profile ground to class A accuracy by the help of generation method. We make available these cutters to the clients in all shapes and sizes in order to cater to the market demand in the most efficient manner. Hub type cutters are designed for cutting internal components where maximum rigidity is required. 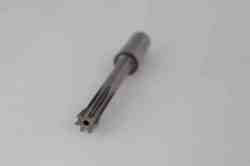 Screwed Hub type cutters are recommended for cutting long face widths or for coarse pitches. In general terms, any tooth form, face width or number of teeth that is available on a shank cutter, can be manufactured with a hub type fitting. Note: these cutters screw directly onto the spindle of the machine therefore rely on the spindle being in a good true state. Our esteemed customers can avail from us a superior quality range of Helical Shaper Cutters as per their specific requirements. These helical shaper cutters are designed by the help of computer and latest technology. Moreover, the range offered by us is widely known for its excellent finish, corrosion resistance and durable standards. Our range of quality-assured Gear Shaving Cutters is offered to the customers. There cutters are designed and manufactured at par with the current industry standards. Moreover, these products are developed by a process of total quality control. Provided to the customers is a superior quality range of Shank Type Shaper Cutters to the customers. These cutters are widely used to cut internal gears of small diameter as well as spline holes in the most efficient manner. Moreover, we can customize these products to meet the needs of a particular job. 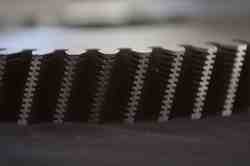 We have gained expertise in offering genuine quality range of Herringbone Gear Shaper Cutters to the customers. Herringbone Gear Shaper Cutters are designed in compliance with the international quality standards, by our team of experts. The range provided by us can also be customised as per the exact details of our customers. Looking for Gear Shaper Cutters ?